Frailey Insurance and Financial Services takes the time to understand you and your needs. We welcome your call, text, or email and look forward to serving you as our newest member soon..
Join our growing team at Frailey Insurance Agency! Click here to apply for one of our open positions. We offer the ability to customize commercial policies. We resolve to make shopping for auto insurance easier than ever. 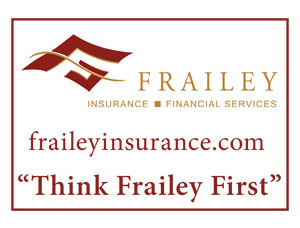 With Frailey you can get more from your life insurance agents. Our agents know how homeowners can protect their assets. Since 1937, our family owned and operated Stroudsburg insurance agency has served the local community with personable service, while providing competitively priced auto, homeowners, property, life and business insurance policies. As a Nationwide Insurance Agency, we are able to offer insurance coverage policies that work for the individuals and businesses we serve. And in addition to our insurance policies, we also offer insurance financial services to help you manage your finances. Our family owned business has since the beginning focused on serving the local community with the best customer service. That tradition continues today, with a team of agents who are here to meet your needs. Contact us today to schedule an appointment with us or to get your insurance quote. Our service areas include Kunkletown, Lehighton, Tannersville PA and Belvidere NJ. Securities offered through Nationwide Securities, LLC., member FINRA, SIPC. DBA Nationwide Advisory Services, LLC. in AR, CA, FL, NY, TX and WY. Representative of Nationwide Life Insurance Company, affiliated companies and other companies. Representatives of Nationwide Securities, LLC may only conduct business with residents of the states in which it is properly licensed and/or registered. Please note that not all of the products and services that may be mentioned are available in every state. Frailey Insurance and Financial Services provides car insurance, homeowners insurance, commercial/business insurance, and life insurance. Our sales and service territory is Pennsylvania including Stroudsburg, East Stroudsburg, Saylorsburg, Brodheadsville, Tannersville, throughout Monroe County and the Poconos region; Maryland, and New York.